Gene expression in blood was correlated with mercury levels in blood of 2- to 5-year-old boys with autism (AU) compared to age-matched typically developing (TD) control boys. This was done to address the possibility that the two groups might metabolize toxicants, such as mercury, differently. RNA was isolated from blood and gene expression assessed on whole genome Affymetrix Human U133 expression microarrays. Mercury levels were measured using an inductively coupled plasma mass spectrometer. Analysis of covariance (ANCOVA) was performed and partial correlations between gene expression and mercury levels were calculated, after correcting for age and batch effects. To reduce false positives, only genes shared by the ANCOVA models were analyzed. Of the 26 genes that correlated with mercury levels in both AU and TD boys, 11 were significantly different between the groups (P(Diagnosis*Mercury) ≤ 0.05). The expression of a large number of genes (n = 316) correlated with mercury levels in TD but not in AU boys (P ≤ 0.05), the most represented biological functions being cell death and cell morphology. Expression of 189 genes correlated with mercury levels in AU but not in TD boys (P ≤ 0.05), the most represented biological functions being cell morphology, amino acid metabolism, and antigen presentation. These data and those in our companion study on correlation of gene expression and lead levels show that AU and TD children display different correlations between transcript levels and low levels of mercury and lead. These findings might suggest different genetic transcriptional programs associated with mercury in AU compared to TD children. Cell-mediated immune response to human myelin basic protein was studied by the macrophage migration inhibition factor test in 17 autistic patients and a control group of 11 patients suffering from other mental diseases included in the differential diagnosis of the syndrome of autism. Of the 17 autistic patients, 13 demonstrated inhibition of macrophage migration, whereas none of the nonautistic patients showed such a response. The results indicate the existence of a cell-mediated immune response to brain tissue in the syndrome of autism. Study – Detection and sequencing of measles virus from peripheral mononuclear cells from patients with inflammatory bowel disease and autism. Department of Paediatrics, Tokyo Medical University, Japan. It has been reported that measles virus may be present in the intestine of patients with Crohn’s disease. Additionally, a new syndrome has been reported in children with autism who exhibited developmental regression and gastrointestinal symptoms (autistic enterocolitis), in some cases soon after MMR vaccine. It is not known whether the virus, if confirmed to be present in these patients, derives from either wild strains or vaccine strains. In order to characterize the strains that may be present, we have carried out the detection of measles genomic RNA in peripheral mononuclear cells (PBMC) in eight patients with Crohn’s disease, three patients with ulcerative colitis, and nine children with autistic enterocolitis. As controls, we examined healthy children and patients with SSPE, SLE, HIV-1 (a total of eight cases). RNA was purified from PBMC by Ficoll-paque, followed by reverse transcription using AMV; cDNAs were subjected to nested PCR for detection of specific regions of the hemagglutinin (H) and fusion (F) gene regions. Positive samples were sequenced directly, in nucleotides 8393-8676 (H region) or 5325-5465 (from noncoding F to coding F region). One of eight patients with Crohn disease, one of three patients with ulcerative colitis, and three of nine children with autism, were positive. Controls were all negative. The sequences obtained from the patients with Crohn’s disease shared the characteristics with wild-strain virus. The sequences obtained from the patients with ulcerative colitis and children with autism were consistent with being vaccine strains. The results were concordant with the exposure history of the patients. Persistence of measles virus was confirmed in PBMC in some patients with chronic intestinal inflammation. The Lindermans – possible strong language! Witness this young girl’s life after the Gardasil vaccine – How many more beautiful human beings will suffer this same fate before MERCK is shut down? This is my Daughter Mia who is just 12 years old, the first video is of her looking well happy & singing (her favourite thing to do) 10 days before the vaccination. Then the other videos are some of Mia’s diaries filmed throughout this terrible ordeal she’s been through over the past 5 months. They show just how unwell she has become since having the hpv vaccination on 21st September at school last year. They show her having involuntary spasms and also show how she cannot use any of her limbs. Her latest Video diary was taken just last week she’s wearing her splints on this one & it shows she can still only blink, speak & she still has involuntary spasms. She’s not moved a single limb for 11 weeks now and apart from a couple of nights at home between hospital admissions she has been in hospital all this time. Over the past the past 2 weeks shes deteriorated & she’s also been vomiting in the afternoon & evenings today she was sick 34 times in 40 mins. She’s currently just rotting in a hospital bed & no one cares! We hope by going public we will find someone to help us to help her recovery and also help the other girls that have been affected. Thank you everyone that’s donated to her Go Fund Me Page and also for sharing this post. (Natural News) For the longest time, I’ve wondered why scientists have not done more straightforward, direct comparisons of the health outcomes of vaccinated children versus those whose parents have chosen not to vaccinate them. After all, that would provide the definitive answer, wouldn’t it? No more of this shilly-shallying back and forth; if you took a group of kids around the same age, half of whom were vaccinated while the other half were not, and checked which group had the better health outcomes, the vaccine debate would be over. A third case of mumps has been confirmed at Jacobs High School in Algonquin, Superintendent Fred Heid announced Tuesday. The district sent a notice to parents Tuesday confirming that test results for a student with a suspected case of mumps have come back positive. “The student has been out of school since May 14th and, as a result, there is minimal chance that other students were exposed during the period of time that he may have been contagious,” Heid wrote in the letter posted on District 300’s website. The Kane County Health Department had notified the school of a second confirmed case Thursday. All three students were vaccinated, according to a letter to parents posted Thursday. Two of shared one class, school officials said. The third student does not share classes or activities with the other two. It seems like whenever there is an outbreak of an infectious disease in the United States, the media, local public health officials and legislators immediately blame people, who weighed the benefits and risks of vaccination for themselves or their minor children and exercised their right to informed consent to medical risk taking, which includes the freedom to decline to take the risk. News reports abound about how the outbreak would not have happened had people just done what doctors told them to do and gotten their shots. Of course, the irony is that, in many outbreaks of infectious disease of late in the U.S., a substantial minority or, in some cases, a majority of those infected had been vaccinated. So the obvious conclusion would be that there is a problem with the vaccine’s long term effectiveness. But that conclusion is often downplayed or ignored. The preferred explanation of why infections occur in vaccinated people, especially in small communities where a lot of people are living in close proximity to each other, is that people are “particularly susceptible to the virus, even if they’ve been vaccinated.”  That was the most common explanation, for example, for the outbreak of mumps on college campuses throughout the country last year. But isn’t that precisely the point of vaccination: to protect you from exposures to disease, even repeated exposures? The VAXXED film crew was recently in California interviewing people about their experiences with vaccines. They interviewed Michelle Snyder and her daughter Ashley about the Gardasil vaccine. The mother had reservations about the Gardasil vaccine, but doctors said it was fine. She has five daughters, and began to make plans to have them vaccinated with Gardasil. After the first shot, her 12 year old daughter came in from playing and said her legs “weren’t working.” She had been a dancer since age 4. The next morning, she could not even walk. The mom called for help, and was told it sounded like “ascending paralysis” or Guillain-Barré Syndrome (GBS). By the time they got her to a hospital, she could not even swallow, requiring them to insert a feeding tube into her. 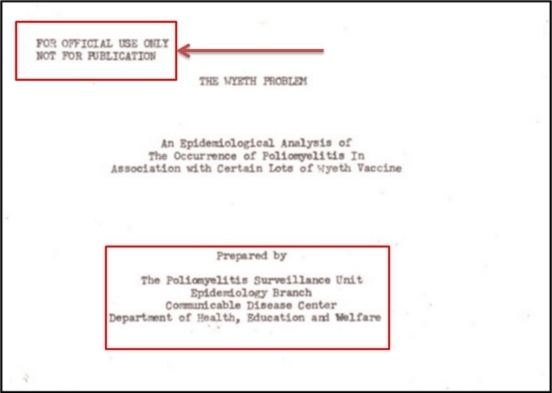 In late 2014, the Maine Coalition for Vaccine Choice wished to clarify the meaning of the language of the CDC’s Pertussis Vaccine Information Statement when it referred to, “lowered consciousness,” as a serious adverse outcome of the vaccine. 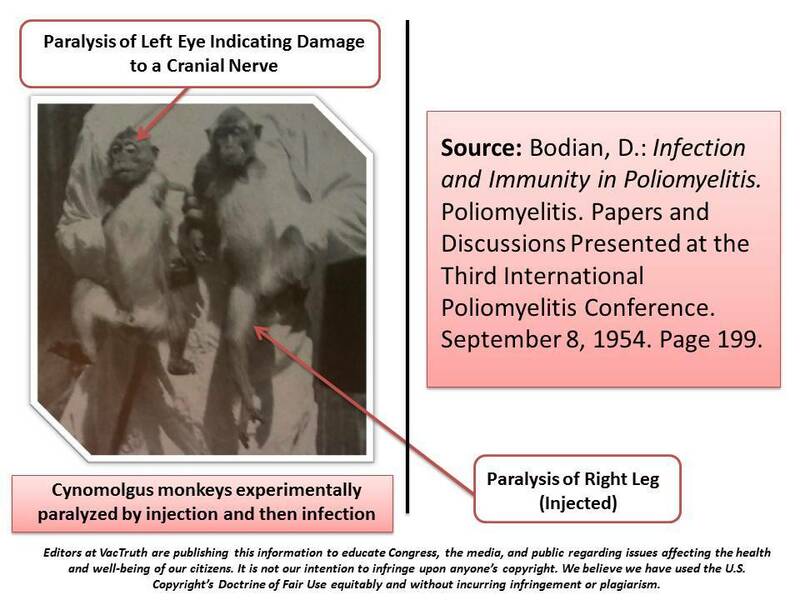 • Several other severe problems have been reported after DTaP vaccine.